Metcalf Moving & Storage knows commercial & office moving. In the moving business since 1919, we are one of Minnesota’s most experienced moving companies. From office moves to employee relocations to specialized transportation services such as Retail Supply Chain or Hospitality Logistics, we offer solutions that are professional and cost-effective. Metcalf Moving & Storage can take care of your business move; no matter what size. We have the equipment and experience needed to get your office up and running quickly. We understand that commercial and office movers need to operate when it is convenient for your business. For this reason, we offer after-hours and weekend moving services designed to keep from disrupting your employees during crucial business time. A business relocation consultant will work closely with you to ensure your office is moved to your exact specifications. We are a BBB accredited business and an AMSA ProMover and have been helping companies and their employees since our start in 1919. Plus, as an agent for Mayflower Transit, we utilize to the largest household goods hauling fleet in the country. Metcalf Moving & Storage can take care of your business move; no matter what size. We have the equipment and experience needed to get your office up and running quickly. Our team of experienced office movers will work with you to develop a plan that minimizes the impact on your operations and gets you up and running in your new location as soon as possible. We understand that business and office moving needs to be performed when it is convenient for your business. For this reason, we offer after-hours and weekend moving services designed to keep from disrupting your employees during crucial business time. A relocation consultant will work closely with you to ensure your office is moved to your exact specifications. Metcalf Moving & Storage can assist with your needs for final-mile or last-mile delivery and distribution, no matter what the project size. We offer storage, delivery, and installation of furniture, fixtures, and other equipment. Additional services can be provided on a case-by-case basis. Pad-wrapping and inside delivery are available, as well as debris pickup and disposal. Metcalf Moving & Storage can assist you with all your temporary and long-term storage needs. Our climate-controlled storage facilities provide safe and secure storage for furniture, fixtures, and other equipment. We can provide transportation to and from our warehouses, as well as installation services. Please contact us for more information. Every custom shipping request for special products is different and has specific handling and timing criteria. 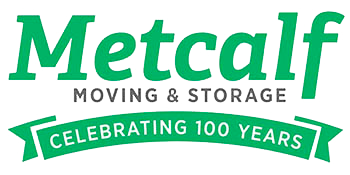 Metcalf Moving & Storage has been moving special products for decades. We can handle custom shipments of any size, from a few items to entire truckloads. Drivers will pad-wrap shipments that require extra protection, and all trailers are air-ride equipped to help ensure your items are not affected by bumps in the road. Satellite tracking is available so you can monitor the progress of your shipment via trailer GPS units. Inside pickup and delivery is available, as well as dock-to-dock service. Contact us to talk with a consultant about your next shipment. Mayflower is a leader in the special transportation industry. Sensitive and high-value equipment needs special care and Metcalf Moving & Storage has the resources and expertise to handle any situation. On every high-value product move, we will assure that every part and piece is professionally packed. Mayflower fleets can handle truckload, dock-to-dock, inside pickup and delivery, and crated shipments. We can even take care of setup, minor installation, and debris removal. All trucks are air-ride equipped and special equipment such as climate control and lift gate trailers are available. Satellite tracking on your shipment is also available and you can be assured that we will coordinate each move so scheduled pick-up and delivery dates are met. Contact us for a free quote or fill our the free quote form. At Mayflower, trade shows are a full-time endeavor and a business priority. Mayflower enjoys one of the best reputations in the trade show shipping/transportation industry with consistent service, on-site representation and centralized coordination. Our drivers take pride in safeguarding every exhibit, providing pad-wrap service when extra protection is needed. For even greater safety, every trailer is air-ride equipped, which reduces vibration and helps assure damage-free deliveries. If needed, special equipment such as climate control and lift gate trailers are also available. Mayflower maintains a trade show field service program that provides show site support throughout the United States. Mayflower’s centralized trade show services department is responsible for coordinating every trade show shipment that passes through our dispatch system. Contact us and speak to a consultant about your next exhibit shipment.